Korean star Ji Chang Wook who is popular among drama fans in Asia, came to Hong Kong recently for a press conference at Mikiki shopping mall and a fan meeting, and accepted an interview with Oriental Daily. Ji Chang Wook who previously toyed with a noona-younger brother romance with Ha Ji Won and Park Min Young in “Empress Ki” and “Healer” respectively, reveals that he is open to dating an older or foreign woman in reality, and feels that as long as both sides are able to communicate, age and language are not a problem. Following his Hong Kong fan meeting last week, Ji Chang Wook is being featured in the July issue of Elle Men Hong Kong. Ji Chang Wook visited Hong Kong last week to hold his first fan meeting with Hong Kong fans and a mall event. 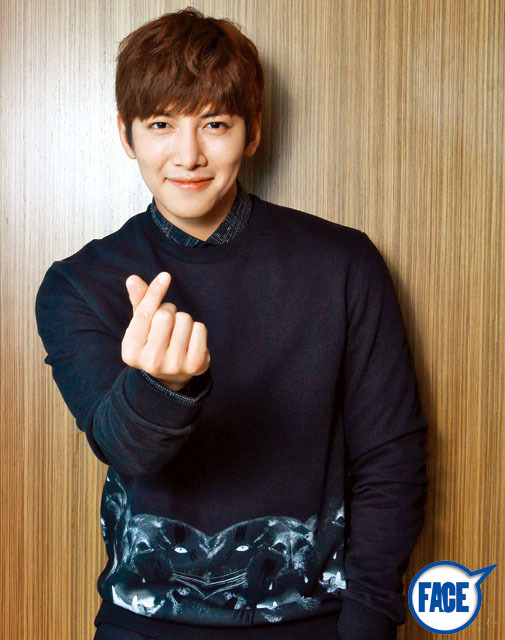 During his stay in Hong Kong, Ji Chang Wook sat down for an exclusive interview with “FACE”. *FACE is a Hong Kong magazine. Ji Chang Wook has returned to Korea after a night of singing, dancing and games at his Hong Kong fan meeting last night. His arrival didn’t go unnoticed by the press of course, who were there to document his arrival. Needless to say, he was also welcomed home by fans, of whom one inadvertently became the focus of many press reports.